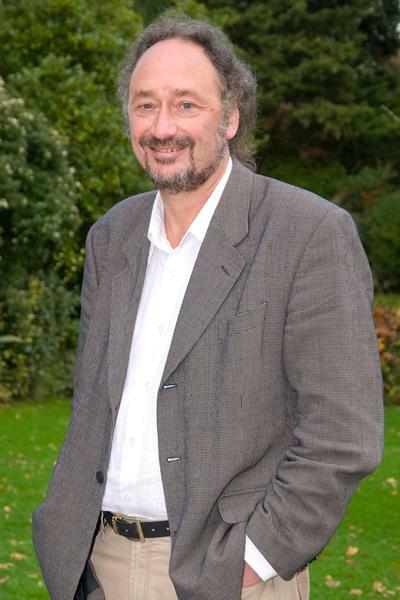 Professor Paul Carling is Emeritus Professor in Physical Geography within Geography and Environmental Science at the University of Southampton. Paul Carling is currently Professor in Physical Geography. He has been a member of staff in Geography and Environmental Science, at the University of Southampton since 2000. 1977 - 1994 : NERC Institute of Freshwater Ecology, Windermere. Palaeofloods, bedform dynamics, turbulence, and mixing processes in gravel and bedrock channels. Large river planform dynamics, including geological history of the Mekong River. Meteorite impact sedimentation in SE Asia. Sediment transport and stratigraphy of the Severn Estuary, UK. Pleistocene history of large-scale catastrophic flooding in southern Siberia. Indus River, Ganges and Yellow Rivers channel planform dynamics. Meteorite impact sedimentation in Thailand, Cambodia and China. Ground-penetrating radar stratigraphy of megaflood deposits. Meshkova, L. V., & Carling, P. A. (2011). The geomorphological characteristics of the Mekong River in northern Cambodia: a mixed bedrock–alluvial multi-channel network. Geomorphology. Wood, M. J., Moffat, A., & Carling, P. (2003). Improving the design of slash roads used to reduce soil disturbance during mechanised forest harvesting. International Journal of Forest Engineering, 14(1), 11-23. Carling, P. A. (2003). Review of R.White 2002 Evacuation of Sediments from Reservoirs. Proceedings of the Institution of Civil Engineers - Water Maritime and Energy, 154(4), 347-348. Cao, Z., & Carling, P. A. (2002). Mathematical modelling of alluvial rivers: reality and myth. Part 1: general overview. Proceedings of the Institution of Civil Engineers - Water Maritime and Energy, 154(3), 207-219. Cao, Z., & Carling, P. A. (2002). Mathematical modelling of alluvial rivers: reality and myth. Part 2: special issues, 2002. Proceedings of the Institution of Civil Engineers - Water Maritime and Energy, 154(4), 297-308. Burr, D., Carling, P., & Baker, V. (Eds.) (2009). Megaflooding on Earth and Mars. Cambridge, UK: Cambridge University Press. Carling, P., Chateau, C., Leckie, D., Langdon, C., Scaife, R., & Parsons, D. (2015). Sedimentology of a tidal point-bar within the fluvial–tidal transition: River Severn estuary, UK. In P. J. Ashworth, J. L. Best, & D. R. Parsons (Eds. ), Fluvial-Tidal Sedimentology: Developments in Sedimentology 68 (pp. 149-192). Elsevier. Davis, J. A., & Carling, P. A. (2012). Playa lake chains: the example of the Yenyening lakes of the upper Avon river catchment of western Australia. In L. Bengtsson, R. W. Herschy, & R. W. Fairbridge (Eds. ), Encyclopedia of Lakes and Reservoirs (pp. 608-616). (Encyclopedia of Earth Sciences Series). Springer. Carling, P. A. (Accepted/In press). Nomenclature, complexity, semi-alluvial channels and sediment-flux-driven bedrock erosion. In M. M. Church (Ed. ), Gravel Bed Rivers: Processes, Tools, Environments Oxford, GB: Wiley. Carling, P. A., Burr, D. M., Johnsen, T. F., & Brennand, T. A. (2009). A review of open-channel megaflood deposition on Earth and Mars. In D. M. Burr, P. A. Carling, & V. Baker (Eds. ), Megaflooding on Earth and Mars (pp. 33-49). Cambridge, GB: Cambridge University Press. Carling, P. A., Burr, D. M., Johnsen, T. F., & Brennand, T. A. (2009). A review of open-channel megflood depositional landforms on Earth and Mars. In D. Burr, P. Carling, & V. Baker (Eds. ), Megaflooding on Earth and Mars (pp. 33-49). Cambridge, UK: Cambridge University Press. Carling, P. A., Herget, J., Lanz, J. K., Richardson, K., & Pacifici, A. (2009). Channel-scale erosional bedforms in bedrock and in loose granular material: character, processes and implications. In D. Burr, P. Carling, & V. Baker (Eds. ), Megaflooding on Earth and Mars (pp. 13-32). Cambridge, UK: Cambridge University Press. Carling, P. A. (2009). Geomorphology and sedimentology of the lower Mekong river. In I. C. Campbell (Ed. ), The Mekong: Biophysical Environment of an International River (pp. 77-111). Oxford, GB: Academic Press. Carling, P. A., Martini, P., Herget, J., Borodavko, P., & Parnachov, S. (2009). Megaflood sedimentary valley fill: Altai Mounatins, Siberia. In D. Burr, P. Carling, & V. Baker (Eds. ), Megaflooding on Earth and Mars (pp. 243-264). Cambridge, UK: Cambridge University Press. Carling, P. A. (2009). The geology of the lower Mekong river. In I. C. Campbell (Ed. ), The Mekong: Biophysical Environment of an International River (pp. 13-28). (Aquatic Ecology). Oxford, GB: Academic Press. Carling, P. A., Cao, Z., & Ervine, D. A. (2002). Flood plain contribution to open channel flow structure. In F. J. Dyer, M. C. Thoms, & J. M. Olley (Eds. ), The structure, function and management implications of fluvial sedimentary systems (pp. 227-237). Alice Springs, Australia: I.A.H.S. Press. Cao, Z., & Carling, P. A. (2002). A critical reflection of computational fluid dynamics applications to fluvial sedimentary systems. In F. J. Dyer, M. C. Thoms, & J. M. Olley (Eds. ), The Structure, Function and Management Implications of Fluvial Sedimentary Systems (Proceedings and Reports) (pp. 463-470). Wallingford, UK: IAHS Press. Carling, P. A., Hoffmann, M., Silke-Blatter, A., & Dittrich, A. (2002). Drag of emergent and submerged rectangular obstacles in turbulent flow above bedrock surface. In A. J. Schleiss, & E. Bollaert (Eds. ), [Papers in proceedings of] International Workshop on “Rock Scour” (pp. 83-94). Balkema. Carling, P. A., Hoffman, M., & Silke-Blatter, A. (2002). Initial motion of boulders in bedrock channels. In K. P. House, R. H. Webb, V. R. Baker, & D. R. Levish (Eds. ), Ancient floods, modern hazards: principles and applications of paleofllood hydrology, water science and applications Washington, USA: Water Science and Applications. Carling, P. A., Hoffmann, M., Blatter, A. S., & Dittrich, A. (2001). Initial motion of boulders in bedrock channels: A flume study. In Transactions of the Geomorphological Union 5th International Conference on Geomorphology Kyoto, Japan: Japanese Geomorphological Union.